Beautiful and straight to the point. 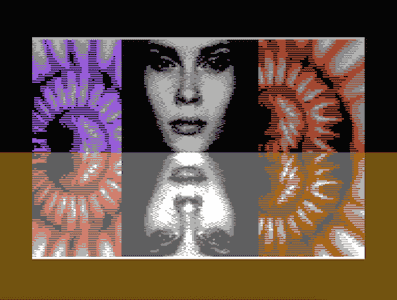 fast paced, well synchronized, not so long (as many c64 demos). I like it! Very nice demo indeed, there are some cool effects here! fast and nice fx. but the music is not that strong. but thumbs up because the fx are really nice to look at. This demo is more inventive than truly technical, but some of the ideas are arresting (the mix of 3d animation with the appropriately moving background or the black corridor come to mind). Ultra :)! I really like the textured (jelly) cube, nice framerate! The other effects are strong aswell.. Keep it up!! keeps the pace, shows everything long enough but not too long! wish every modern c64-demo would be like this! rulez added on the 2016-12-02 19:12:55 by ɧ4ɾɗվ. page created in 0.017648 seconds with 15 queries.